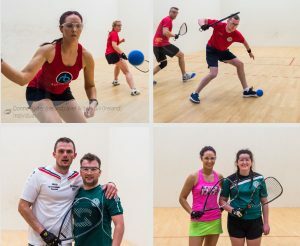 Professional pictures and some awesome action shots from the 19th European Championships in The Hague, Netherlands are now online at https://goo.gl/v6MJBy. Thanks to Ken Fife, racquetball player and professional photographer from the US, but currently residing in Vienna, Austria, for accepting the invitation to come to The Hague and cover the action and for giving us great material to showcase and market the greatest sport on earth. Over 10.000 pics were taken during the competition days.